Behind the Scenes at the Hippodrome. ← Pictures of the Year 2017. Last week I was lucky enough to be commissioned to do a behind the scenes photo shoot at the Birmingham Hippodrome panto Cinderella. I have covered the panto at the Hippodrome for many years but this was the first time that I have had ‘access all areas’ clearance behind the scenes during a show. The main thing that struck me was how relaxed everything was. I had expected some rushing around offstage, the cast making hurried costume changes while waiting for their cues, tension in the wings, in fact everybody was incredibly calm. The calmness of course down to the consumate professionalism of everyone involved, from Ugly Sisters to lighting and sound engineers, everybody knows exactly what they should be doing, where and when. It was challenging photographically (taking pictures in near complete darkness) but despite this was one of the most enjoyable and satisfying jobs I have done for a while and produced a really great set of pictures that have been used extensively in the regional press. – Cinderella features a cast of 19 principle performers plus two teams of Panto Babes, all of whom are students of The Birmingham Stage School. The cast will spend over 180 hours on stage spread across 72 individual performances. – All of the magnificent sets featured in the show are produced by Qdos entertainment, who have stores in Scarborough and Beverley. It is from here, that the company’s dedicated team create and maintain their sets and over 100,000 costumes for pantos up and down the UK. assemble the individual components in time for the first Tech rehearsal. 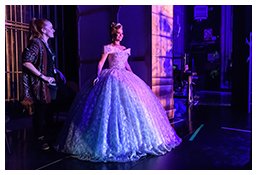 – This year’s production of Cinderella features over 16 pyrotechnic cues each performance. – Ceri Dupree and David Dale, who play Ugly Sisters Verruca and Voluptua, have a total of 19 individual costume changes in this year’s show. 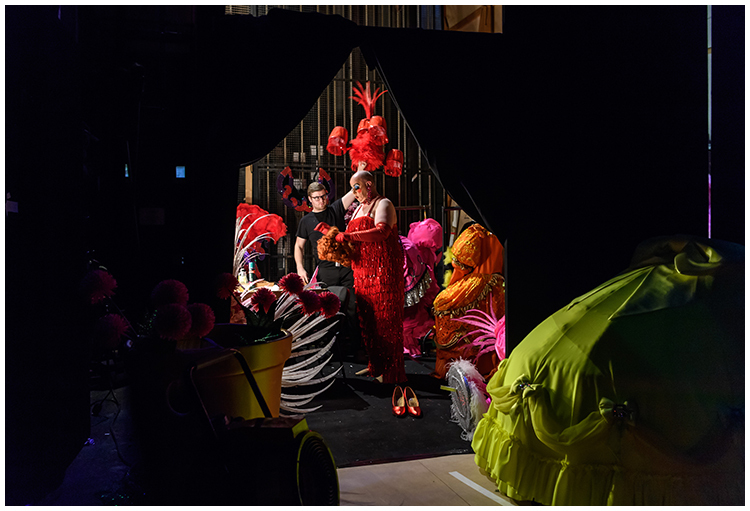 all of the flamboyant costume creations featured in Cinderella are housed backstage in two specially constructed quick change areas. 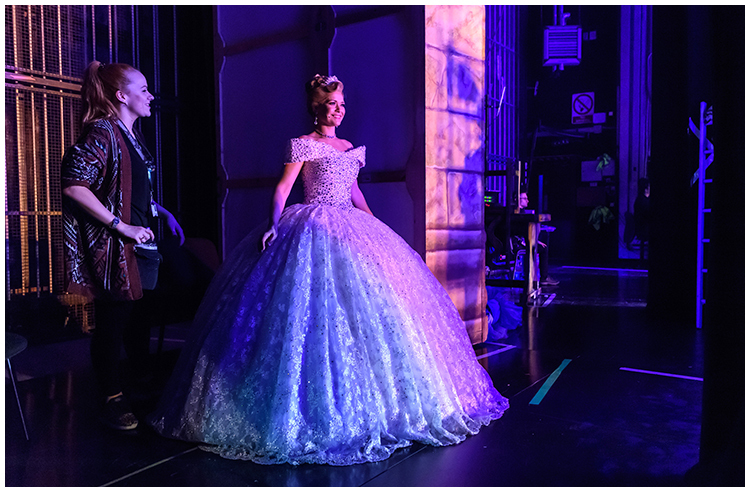 – The quickest ‘quick change’ this year takes 45 seconds backstage (which is Cinderella’s transformation from ball-gown to worker). There is also an onstage quick change that takes six seconds. – This year marks Matt Slack’s fifth year starring in a Birmingham Hippodrome panto. By the time this year’s production draws to a close, he will have clocked up over 360 appearances on the Birmingham Hippodrome stage. – Cinderella features a total of 135 costumes 109 wig/headdresses and 87 individual pairs of shoes. – Cinderella’s two ball gowns weigh the equivalent of 67 bags of sugar each. – All of the cast of Cinderella are responsible for their own make-up pre-show. all make-up and costume is prepared during the ‘half hour’ call, 35 minutes before the show goes up.